one-woman show redeeming features has played a variety of venues in the uk, us and elsewhere - including tents, shopping malls, ornate victorian theatres, cafes, a 10th birthday party, an 85th birthday party, a swiss hotel that inspired disney, kipling and scott fitzgerald, and the only part of glastonbury abbey still standing (not lynn’s fault). 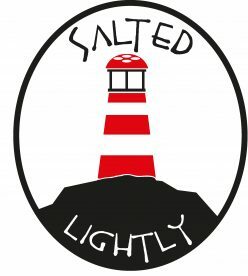 it is a series of individual pieces running through the whole Bible narrative, taking various characters and telling their stories in different styles – comedy; drama; satire; song; poetry; dance; mime; masks - even puppetry. 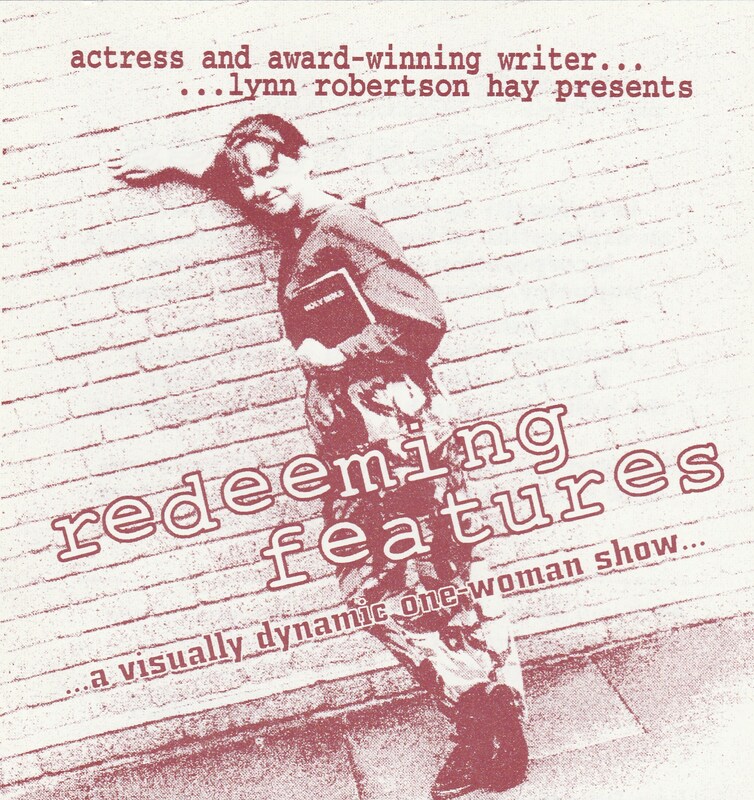 the show started way back in 1996. lynn had a couple of Bible-based ideas for short pieces she could perform when co-leading mime, dance and drama workshops as she often did – maybe even get the occasional invite to do them at a church? then, with just five weeks’ notice due to a cancellation, she was offered a run at the tristan bates theatre in london, if she happened to have a show she’d like to try out. she didn’t, so she very sensibly turned the chance down. that felt completely wrong. she tried writing the two pieces she had in mind (ruth and job) over a weekend. they didn’t seem too bad, so she took a deep breath and grabbed the opportunity, writing (and learning!) several more pieces and drawing the whole thing together - props, music, costumes, posters, stage crew - in that short amount of time. for that first run the show lasted 1 hour 10 minutes, but as it came to an end lynn realised it should have a life beyond, and developed it into a full evening. she’s trotted it out ever since, when called upon – in its entirety, or just one or two pieces. over the years many people have given feedback. "If you do anything this weekend, go and see this wonderful show... Very powerful, very funny in parts and hard hitting, all at the same time... Ten out of ten. See it!" "Audiences were delighted with the sheer professionalism of this show, performed with an impressive talent... A remarkable individual tour de force... Finely paced, with great variety... We surely have not heard the last of this extremely talented and versatile young artiste." "Lynn Robertson Hay enchanted and moved the audience to laughter and tears... The many and varied styles she used amounted to "total theatre"... The character sketches constantly surprised with an original angle." "Everyone has said a similar thing - not only was the show excellent entertainment, but it left them challenged and moved. I was particularly impressed by the sheer power of your writing and your ability to communicate a fresh slant on familiar stories." "Thank you for a magical, moving show. Joyce Grenfell would have said 'Nourishing' and so say I... Ruth was my especial favourite. But Mrs Potiphar - well - Mrs Potiphar will never be the same again." "It was such an unusual programme... The character that has stayed vividly in my mind was your portrayal of Mary and the Magnificat... I had never experienced the pure joy of it until your expression by word and actions"
"I really did enjoy the variety of approaches which gave new food for thought about Bible characters I have studied over many years... your versatile performance refreshed me alot!" "The very thought of that lovely performance gives me a lift right out of the humdrum daily round. Lynn was just wonderful." "How magnificent the one woman show was - what energy, what talent, what a fantastic afternoon - and I was so moved by the whole experience. Please try to return - soon!" "It was absolutely wonderful - simple, complex, old and new; funny & sad; refreshing, thought provoking. I was affected in so many different ways. Mary was deeply moving - touched my heart." "Lynn Robertson Hay's skill was in making you enter into the scenes she was acting out, both visually and emotionally." "There was much to enjoy and appreciate - a deeper encounter with Ruth and Esther amongst other memorable pieces. The 'Magnificat' was inspiring - here was a Mary to delight in and learn from, in heart and mind. The impact on me was such that I thought I should write!" "We were absolutely enthralled with the show... A brilliant and moving performance, bringing laughter and tears. We congratulate Lynn, and we haven't seen the last of her." "We so enjoyed and were profoundly moved by your performance... It was a powerful evening."